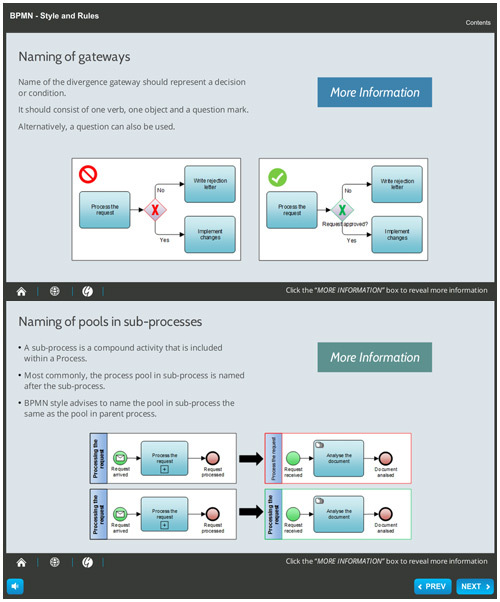 BPMN models can be seen as an important communication tool. To this end, they need to be clear and unambiguous. Because BPMN specification does not address this issue, a wide variety of good practices and patterns has been established, commonly referred to as "style rules". In this presentation, the most important aspect of such rules is presented: the naming of the elements.